The longest show in his performing history. 33 songs over four hours, 4 minutes and 47 seconds, and that doesn't include the five song acoustic pre-set played to the fans that made it into the stadium early, just thank them for following him around Europe. Following the mini-set he spent ten minutes collecting signs and shaking hands before returning to the microphone to say, "Thanks to all you regulars and thanks for making it a lovely summer for us, and we'll see you in a little while!" The main set opens with CCR's "Rockin' All Over The World"
Kristen Ann Carr Fund Benefit Concert. The fund is dedicated to fighting Sarcoma. Joe Ely and Terence Trent D'Arby guest. Joe Ely plays guitar and sings on "Lonesome Valley" and "Settle For Love". Terence Trent D'Arby plays guitar and sings on on "Many Rivers To Cross", "I Have Faith In These Desolate Times", "Jole Blon", and "Jumpin' Jack Flash". First ever performance in the U.S. of "Many Rivers To Cross". "Follow That Dream" is closer to the version played on the River Tour, with Roy’s keyboard providing the backing together with the lovely back-up vocals. Sadly, this show is perhaps best known for the Terence Trent D'Arby "event". After D'Arby was booed Bruce admonished the crowd: "Terence Trent D´Arby... need I remind some of you rude motherfuckers that everybody onstage is my guest?". "Come Together" - a concert to benefit the Sergeant Patrick King Memorial Fund. The Long Branch police sergeant was gunned down while ordering Chinese food on November 20, 1997. 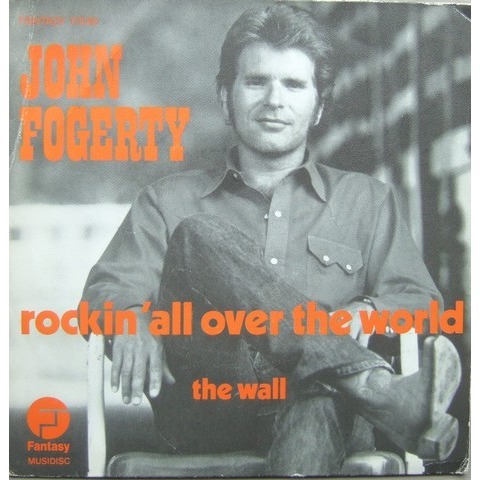 "Rockin' All Over the World" is a rock song written by John Fogerty. 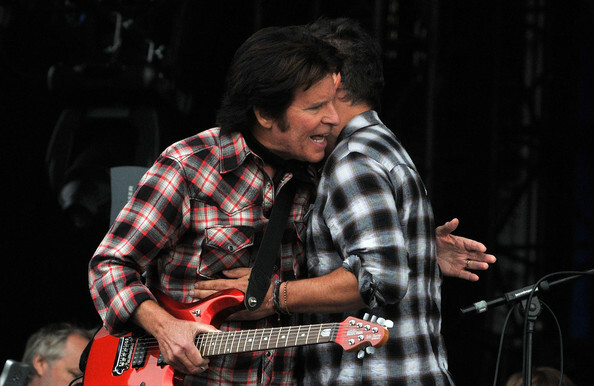 It made its debut on Fogerty's second solo album in 1975. Best known cover is from Status Quo's. At Live Aid, Status Quo began their set (and thus the event itself, being the opening band) with "Rockin' All Over the World" which first became an unofficial anthem for the event when the BBC used it to advertise their TV coverage.